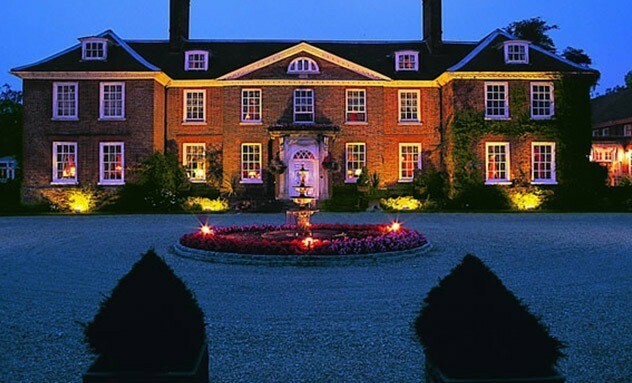 The Grade 1 listed Chilston Park offers one of the most exclusive wedding venues in Kent. Set back from tree-lined lanes, the manor house at Chilston Park Hotel in Kent is set in 22 acres of parkland and features a two AA rosette restaurant. One of the most best loved hotels in Kent, over the years Chilston Park has been a home to eminent politicians, writers, Lords and Viscounts. Today it is a classic British country house hotel with plenty of style and charm and one of the most perfect wedding venues in Kent. But perhaps the most remarkable aspect of this 4 AA red star hotels in Kent are the antiques and history that surround it. The hotel has many interesting artefacts that date as far back as the 17th century manor house. Chilston Park Hotel was a wonderful setting for our first visit to Kent. The hotel is set in stunning grounds and the fabulous impression the hotel gives you on arrival is boosted when you are met by a porter (James) who helped with our bags and guided us around the hotel. Our room was stunning, very comfortable and spotlessly clean. We had a small issue with the TV reception, but staff arrived quickly to see if they could help. The issue was resolved while we were out the following day - the TV was replaced and reception was perfect. We ate in the restaurant and the food was of superb quality. All the staff treat you very courteously throughout the hotel. A fabulous place to stay in Kent!